harmony and all that’s good. Remember to always believe in your own magic and beauty.. 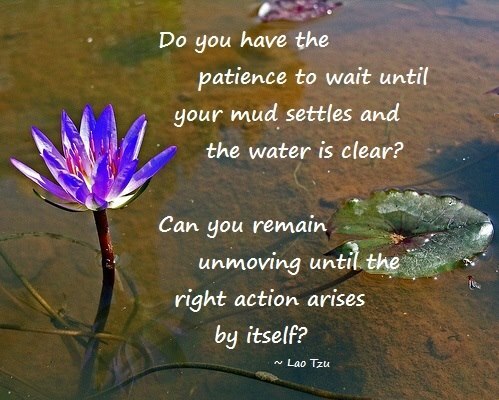 Wisdom from Tao Te Ching! Happy Spring Equinox! Today is one of equal light and dark in the Northern Hemisphere, a time of ‘in-between’ when the veils between worlds are thinner. The equinox acts like a bridge between worlds, rather like twilight; a magical period of transition…. Even just some quiet time in reflection to allow whatever shifts may want to occur, whether you’re in any way conscious of those or not, can be of benefit. It can also be a good time to take a moment to write down some wishes and dreams, visualize positive outcomes, connect to your bright future, etc. Of course, it’s not like any day can’t be a time for the above! The Equinox energy continues for the 3 days after, so it’s an opportunity to harness energies for manifesting over the next few days if you wish. Set some positive intentions, hold some visions, and take active steps where appropriate, etc…. Wishing you a wonderful Equinox however you’re spending it! There’s much to receive you can’t put a name to during this midway time of transition.